Be Known for Something : Discover Your Church Communication Thread / Leadership / A Few Sobering Words. About You. 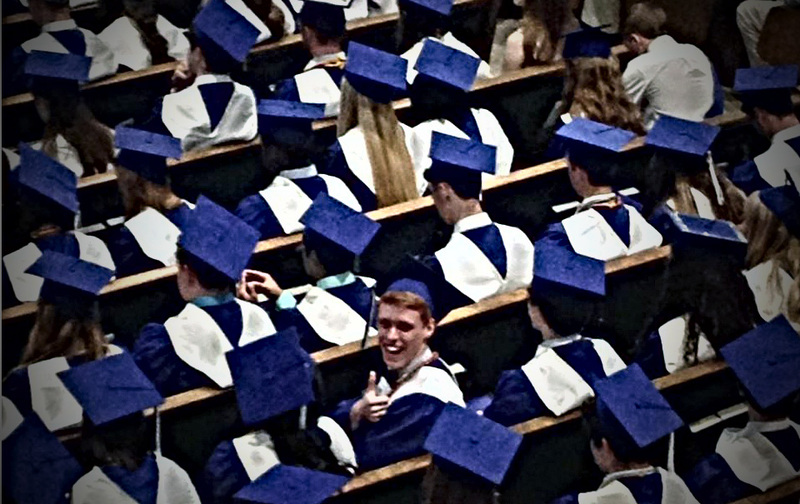 Our friends’ son graduated this weekend from our church’s high school. It was a different ceremony than most. The graduating class had a lot of personality and they showed it with their decorated caps and small adaptations to their simple strut across the stage. Each student seemed to be unique in their own skin. The Principal, who called their names, had polled their teachers about what each graduate was known for. Studious, Hilarious, Calm, Pensive, Inclusive, etc. Each student stood at the bottom of the stairs awaiting their name to be called. And I’m sure, for the first time, they got to hear (from the teachers’ vantage point) what their reputation is. I’m not sure if I would have wanted to hear what I was known for in High School. Or if I’m ready to hear what some people think of me now. If you could walk across this stage of life; and hear (honestly) what your family, your friends, your co-workers, or your facebook followers had to say that they know you for — what would the words be? How about what God thinks? It’s a sobering thought. And most people miss those words because they’re said at our final graduation. Our funeral. That’s when we hear what God says. Which really matters. But we can’t change anything then. Take the time today. Right now. To consider what your reputation is. What words are you “Known for”? Maybe even ask a truthful friend for the best and worst words that describe you. And take some silent soul searching time to determine what God’s words might be. Be Known for Something. Have impact in this world so that God will say, “well done, good and faithful servant”. Great is your reward.